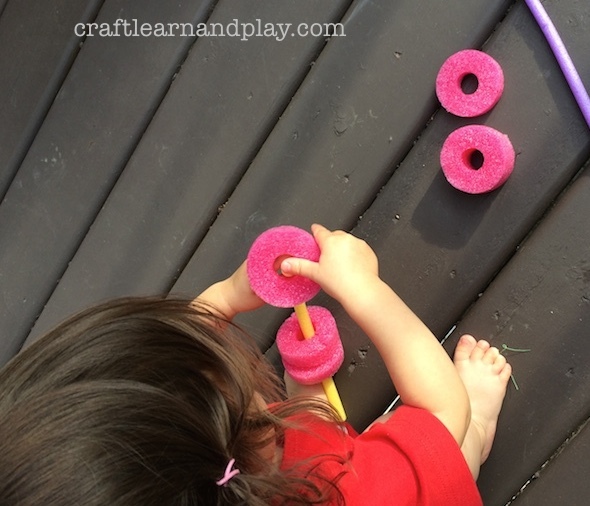 This 3 Simple Fine Motor Activities Ideas for Outdoor Play are ideal for hot summer days and are perfect for small places, like patio or balcony play. 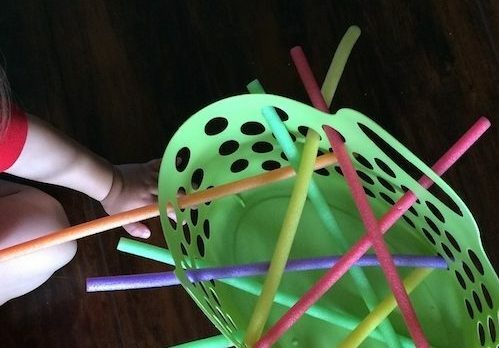 You actually don’t need much to invest and can set up these activities for your toddler in a few minutes. So let’s get started. 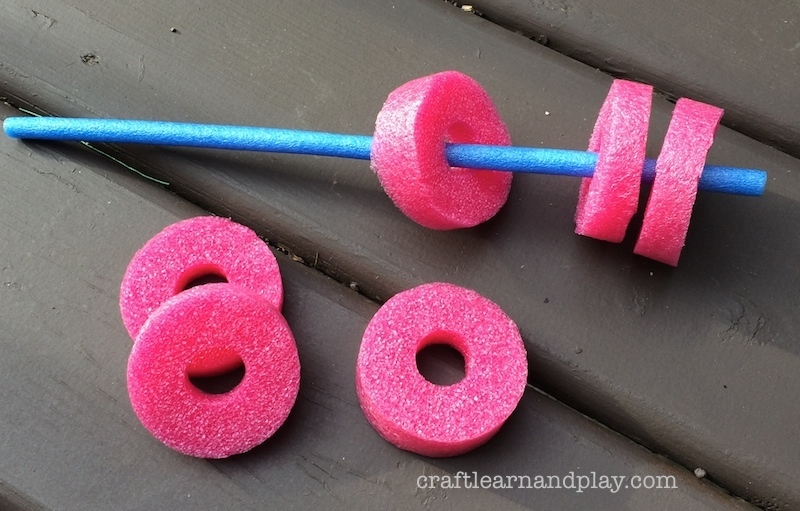 Cut out pool noodle in about 0.5 -1 inch and find some rope or sticks. We had foam sticks that day for play so we used them. Simple. Easy. Perfect! 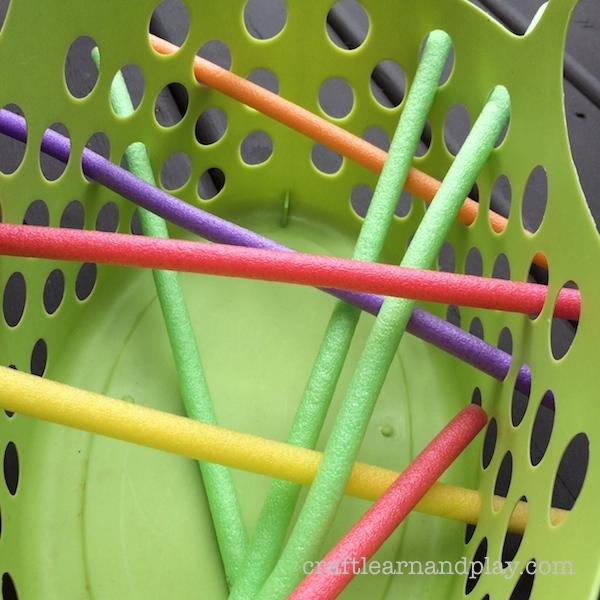 We have this great plastic basket with holes that we use for play. So with the foam sticks I demonstrated how she can put straws thought the basket. She was very determined to push stick thorough holes on both sides of the basket. It took some time until she mastered it but it was fun activity. 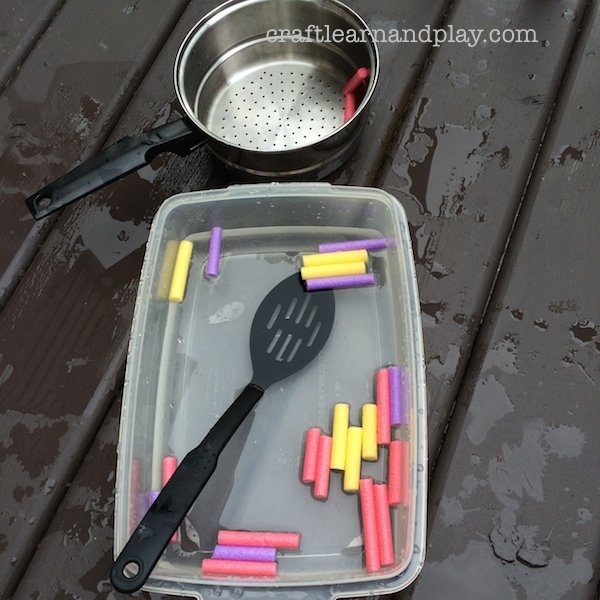 Another great fine motor activity, this time involving water. I have cut some foam sticks in about 2 inches log, placed them in to plastic container filled with water and gave he plastic scope with holes to catch the sticks. Fun, fun, fun… what else to say. 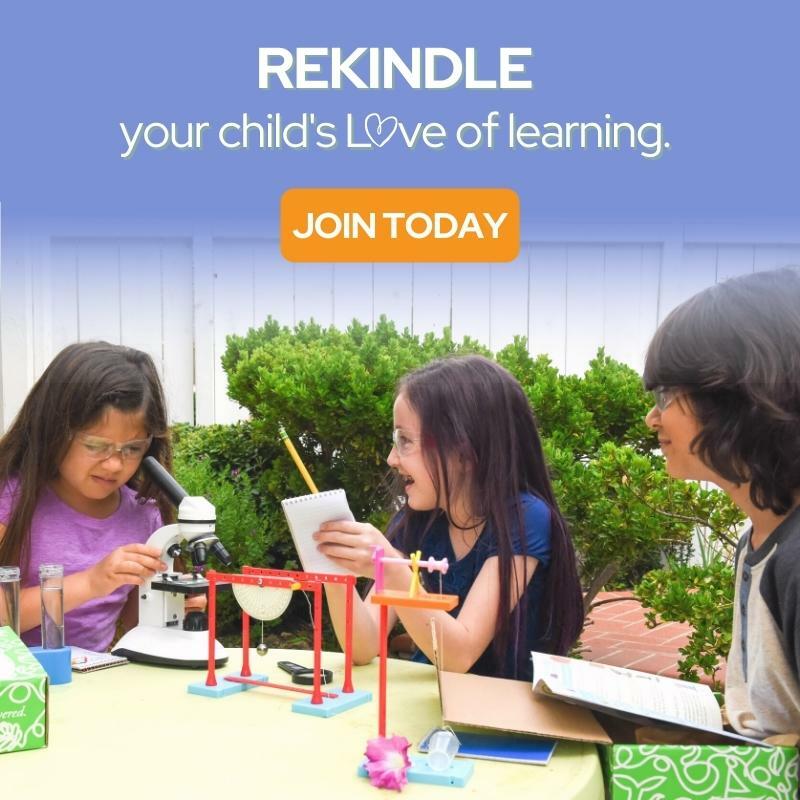 There is no better way than have fun and play while mastering new skills. 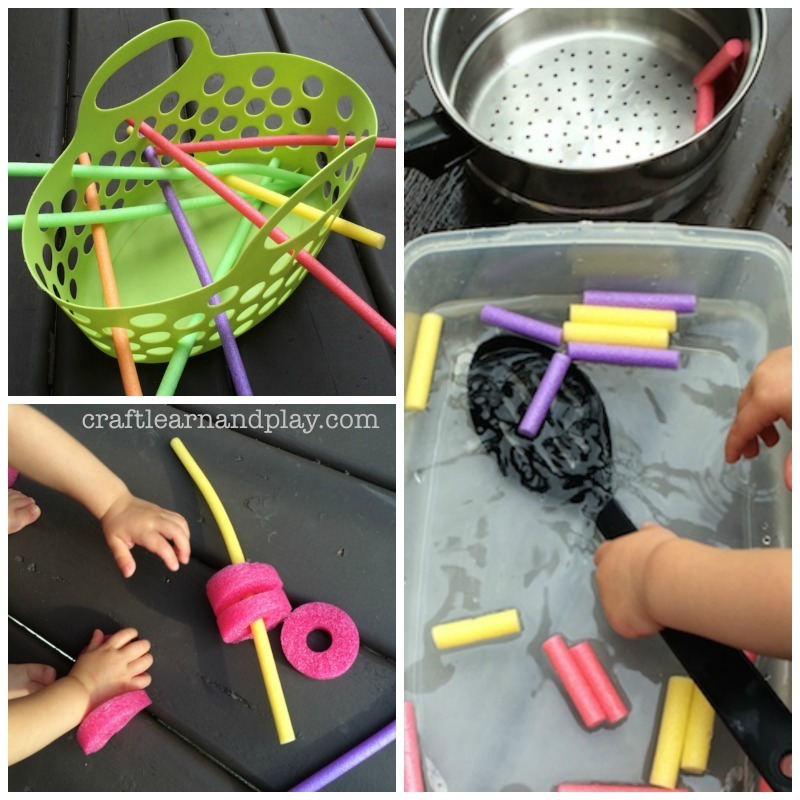 Hope you liked this three fine motor activities and you will try some with your toddler. Would love to hear in comments bellow how did it go.